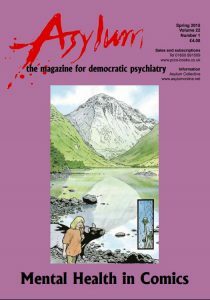 Welcome to the start of a series of editions of the magazine featuring mental health issues depicted in comic strips. We kick off with a full issue devoted to this topic. To read more articles like this, SUBSCRIBE to Asylum magazine.